You are a family to us. Angels of Mercy Home Health Care Services, LLC is a residential services agency based in Hyattsville, Maryland. 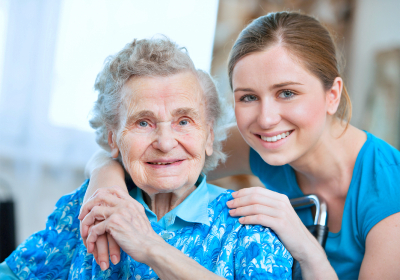 We provide compassionate and dependable home-based care for our clients. To us, our clients are more than just an item in our caregiving schedules; they are a part of our family. By treating our clients like next of kin, we add more value to our services. We focus on building bonds based on trust and compassion which is what our care staff at Angels of Mercy have become widely known for. We offer the personal service and reliability that your loved one deserves. All of our caregivers are supervised by Registered Nurses and are available around the clock to administer proper care. Our valued clientele also has access to a Registered Nurse who is available for questions and home visits. Because we value the safety of our clients, all caregivers are given background checks and are insured and bonded for optimal care. In accordance with the state regulations, the client has the right to file a complaint with the Residential Service Hotline (+1-800-492-6005) available 24 hours a day, 7 days a week.